Official List of Samsung Devices Getting Android 9.0 P Update: It has become a tradition for Google to release a new version of Android almost every year. It has already sent out the Developer Preview version of Android P for testing and feedback purpose. It has been released in March and by now, they must be ironed out the bugs and glitches. May is probably going to be the month when Pixel 3 comes out as Google holds Google I/O 2018 event. It will not be surprising to find that Pixel 3 coming out with Android 9.0 P.
Whether Pixel 3 comes out or not, the event is more likely to publicly launch Android 9.0 P. The first impressions for the developers who have tried out the new Android versions are overwhelming. They are highly impressed with the new features Android P is going to bring on the table. If you are a Samsung smartphone user, you should know which the Samsung devices that are likely to get Android P update after it releases. Display Cutout Support – The design of iPhone X has been a benchmark for all mid-range and premium Android smartphones in 2018. All the smartphones released in these categories in 2018 are having the exact same design of a top-notch on the front screen as iPhone X. That is why Google has decided to add top-notch support on Android P so that apps can be optimized by the developers in such a way that the notch does not hide any part of the app form viewing. Indoor Navigation – This is the most exciting features in Android P that one must watch out for. To experience the features, the smartphones must be premium and latest so that it has Wi-Fi IEEE 802.11mc technology supported. What this feature does is it will let you navigate easily in commercial buildings like shopping malls and public offices just like the way you do with Google Maps and GPS system for outdoor navigation. No To Spying – One of the recent disturbing security concerns exposed in public is that there are a lot of popular and malicious apps that are accessing your speaker to record your conversations and using your cameras to record your videos and sending them to various spying agencies. These apps are operating even when there are in an inactive state in the background. Android P ensures that no app that is not open on the screen can get access to your speaker or cameras. Screenshot Editing – Android P will have a native tool to let you capture screenshots and edit them thoroughly. Previously, users had to download a third-party app to edit screenshot, add texts and make drawings. All these features are now available through that native tool. Apart from these cool features, there various other features like enhanced notification and messaging services, ability to connect five Bluetooth devices together, multi-camera support, dark mode for OLED screen and much more. 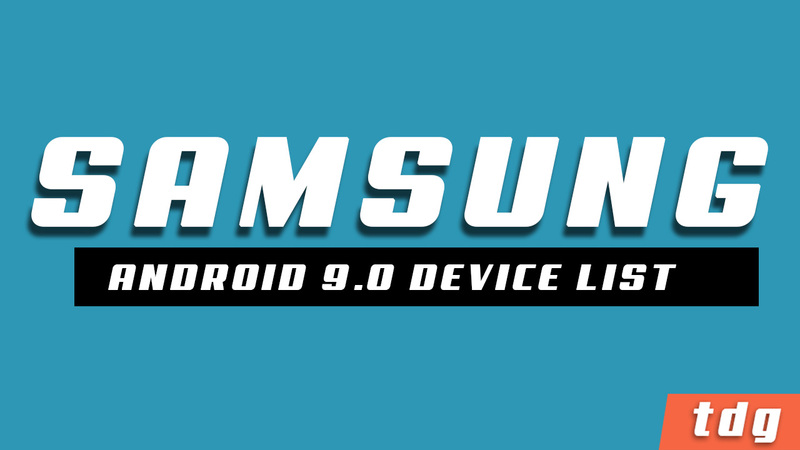 The following is the list of Samsung devices that can get Android 9.0 P update from Samsung. This is not the final list and new devices can be added when announced. Therefore, keep following us on the updated list.